10mm Fantasy figures and terrain. 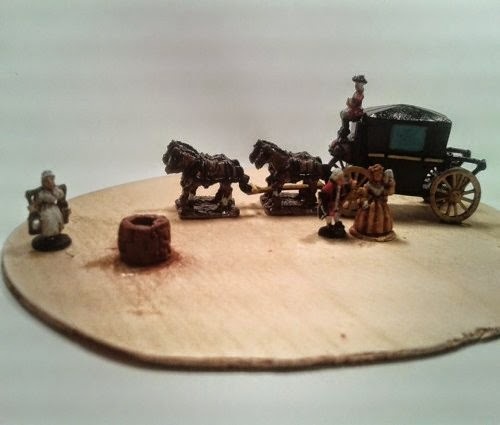 Metal miniatures I supply are made of tin/lead alloy (pewter), so contain lead and this is your right to buy or not to buy. 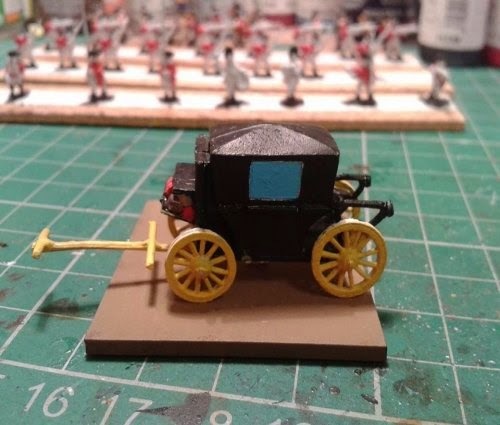 Miniatures may have some flash and sprue or air channel odds. 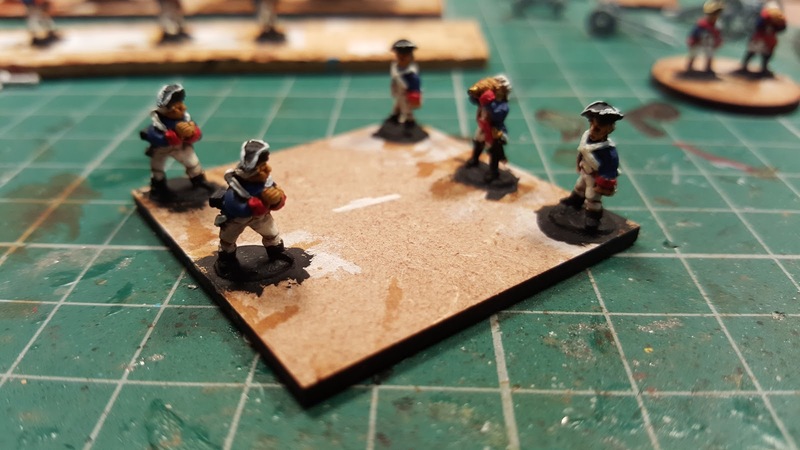 Resin miniatures are made of Smooth-Cast® or TASK® urethane plastic (all necessary safety data sheets you may get on Smooth-Cast® site). It cast under the pressure and some unnoticed small bubbles may occur. 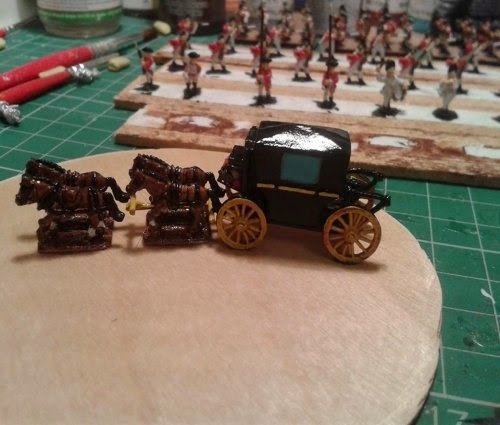 So in both cases the miniatures require cleaning, filling and putty. The 5th Regiment of Foot left Monkstown, Ireland on 7 May 1774, for Boston, Massachusetts Bay Colony. Their presence was necessary because of strong civil unrest in the area. Arriving in July, 1774 the 5th Regiment of Foot camped on Boston Common. 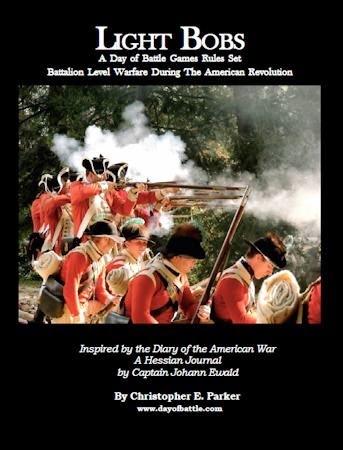 On 19 April 1775, the Light Infantry and Grenadier Companies participated in the march to Concord, and the resulting fighting at Lexington, Concord, and the march back to Boston. Casualties were five men killed, three officers and 15 men wounded, and one man captured. On 17 June 1775, after being under siege by American forces for two months, the regiment participated in the attack on the fortifications at Breed's Hill (the Battle of Bunker Hill). The American forces were finally driven off after intense fighting. The regiment was heavily engaged and suffered 24 dead, 137 wounded. 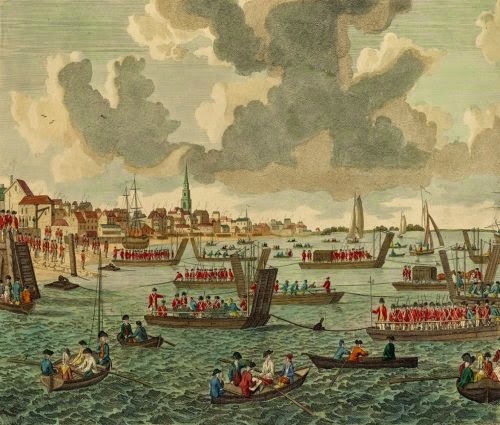 After spending two months on board ship in Halifax, Nova Scotia, the 5th Regiment of Foot sailed to New York to participate in the effort to capture the city from the Americans. They took part in the Battle of Long Island and the Battle of White Plains, the capture of Fort Washington, New York, the capture of Fort Lee, New Jersey. They then spent the winter of 1776-1777 quartered near New York City and were involved in skirmishes with the American forces. 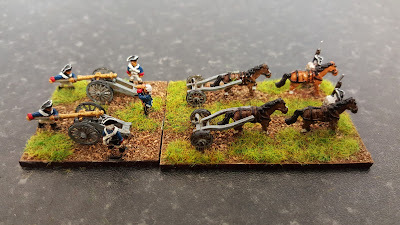 They were then part of Howe's campaign to capture Philadelphia, being engaged in the Battle of Brandywine Creek, where they broke the Continental Army's center at Chadds Ford, capturing 5 cannon. On the retreat through New Jersey, on 28 June 1778, the regiment was involved in the fighting at Monmouth Court House. While in New York, the 5th Regiment of Foot participated in several raids and skirmishes, including a raid on Little Egg Harbor, New Jersey. 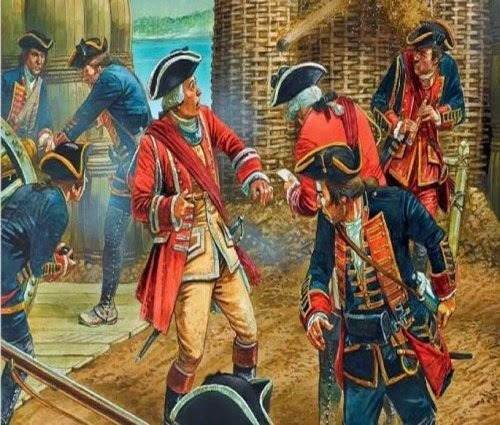 The Americans had been using the harbour for privateering, and this raid succeeded in destroying many buildings and boats. 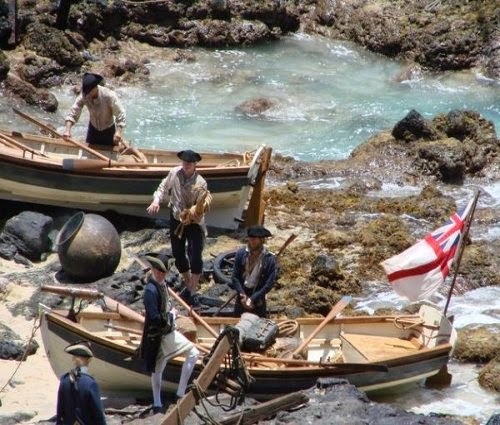 They then embarked from New York on 3 November 1778, for the French West Indies, landing on 13 December 1778, on the island of Saint Lucia. 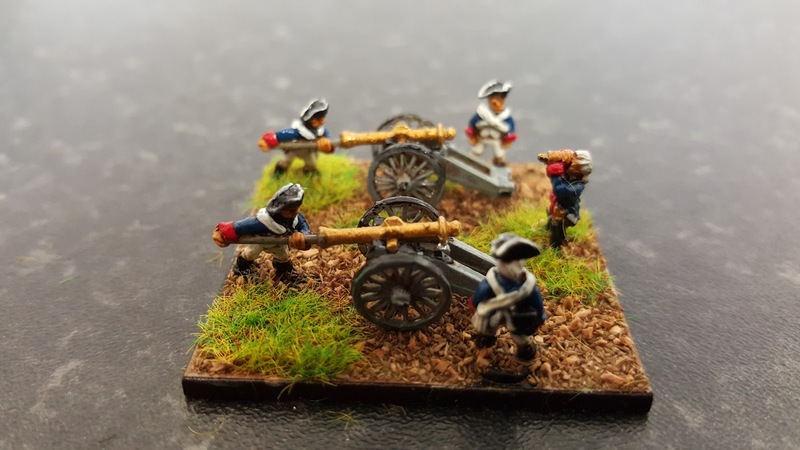 The 5th Regiment of Foot was engaged with a small force of French and captured a four cannon battery. On 18 December 1778, a force of 9,000 French troops were landed on St. Lucia. The small British force of 1,400 men occupied a hill located on the neck of a peninsula. 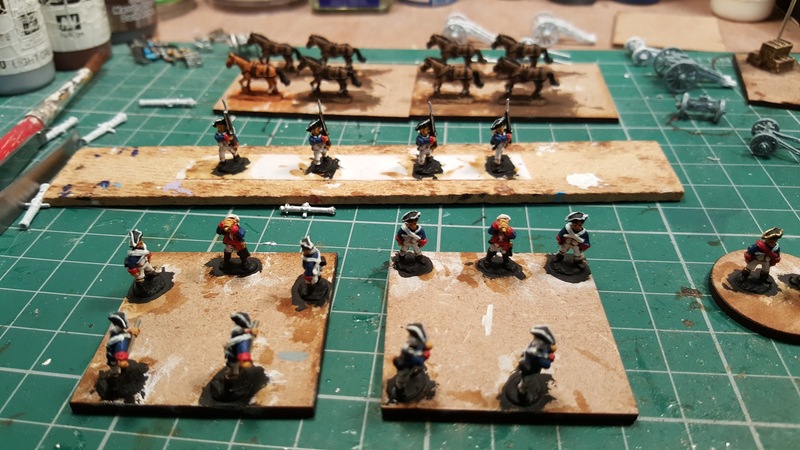 The French were fairly raw soldiers trained to fight in the classic European style of linear battles. The French advanced on the British force several times. The British, veterans of colonial fighting, inflicted a stinging defeat on the French. 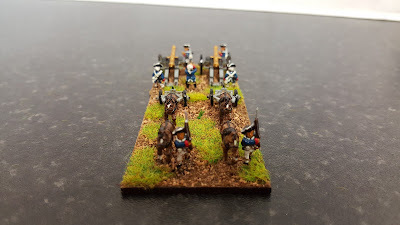 The French lost 400 killed and 1100 wounded to the British losses of 10 killed and 130 wounded, which included two officers from the 5th Regiment of Foot. As a result of the defeat, the French force abandoned the island. Regimental tradition states that after the battle men of the 5th Regiment of Foot took white hat plumes from fallen French soldiers and placed them as trophies in their own hats. 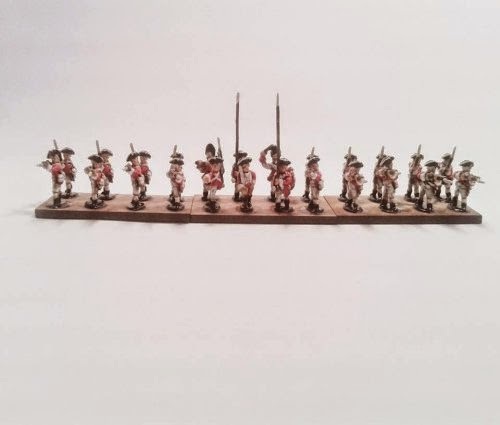 After two years in the West Indies, the 5th Regiment of Foot was sent to Ireland in December 1780. They were still in Ireland when hostilities between Great Britain, France, Spain, the Netherlands, and the former Colonies officially ended in 1783. 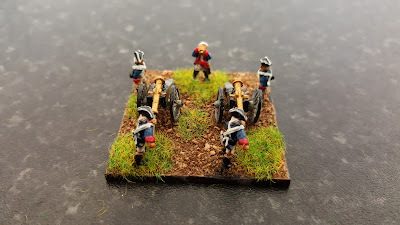 Der Alte Fritz have posted his Fife & Drum rules for the AWI on his new website. A great one page rule set for free. 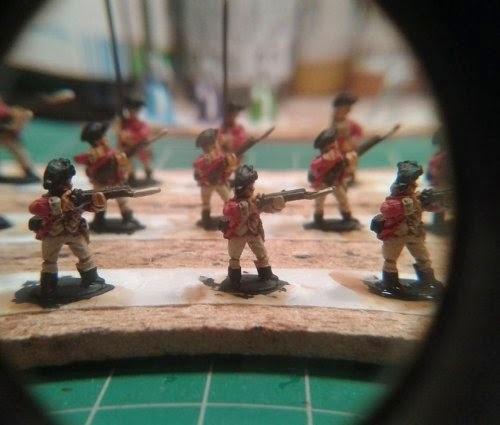 Light Bobs: a nickname for the British light infantry, first used during the American Wars of Independence, and commonly applied to the Light Division during the Napoleonic wars. 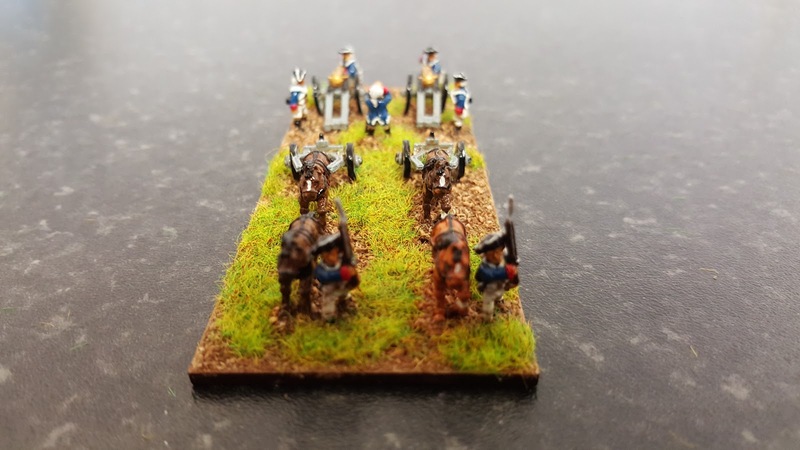 If you are familiar with the Day of Battle, you’ll notice a partial resemblance to them in these rules. I really enjoy the Command, Personality and Battle Line Morale parts of Day of Battle and knew I could use them for other eras. Light Bobs is meant to cover actions where hundreds, rather than thousands, of soldiers are deployed. I feel that Light Bobs is written to be at battalion level, meaning the player commands four or more units called Companies. Companies are small (4 to 12 figures). This scale is larger than a man-to-man encounter, but below a brigade or multiple battalion engagement. A basic game is between two leaders called Leaders of Worth with each commanding 4 to 6 Companies. Action is fast and sharp with the different Companies being of mixed arms and varying moral types. This is the scale of small units led by individual officers: a scale that I feel is sorely lacking in rules offerings. To bring out the individuality of the scale and the period I have used the personality rules from Day of Battle. These rules allow you to fight your Leader of Worth from battle to battle and watch him grow as a commander. This system is a sort of paperless campaign. Finally actions are now broken down into theaters so you can move from one to another to fight different actions with different types of armies. The theaters provided are Boston, Saratoga, the Mid-Atlantic States and the South. I hope you enjoy playing Light Bobs as much as I have writing them. 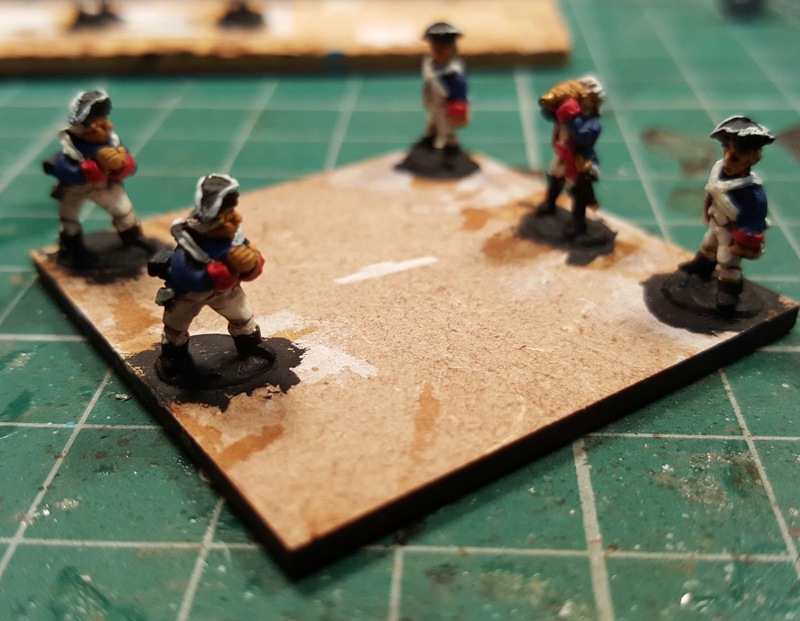 These rules are written for 25/40mm scale figures. The figures (preferably painted) should be mounted on as small a base as possible. 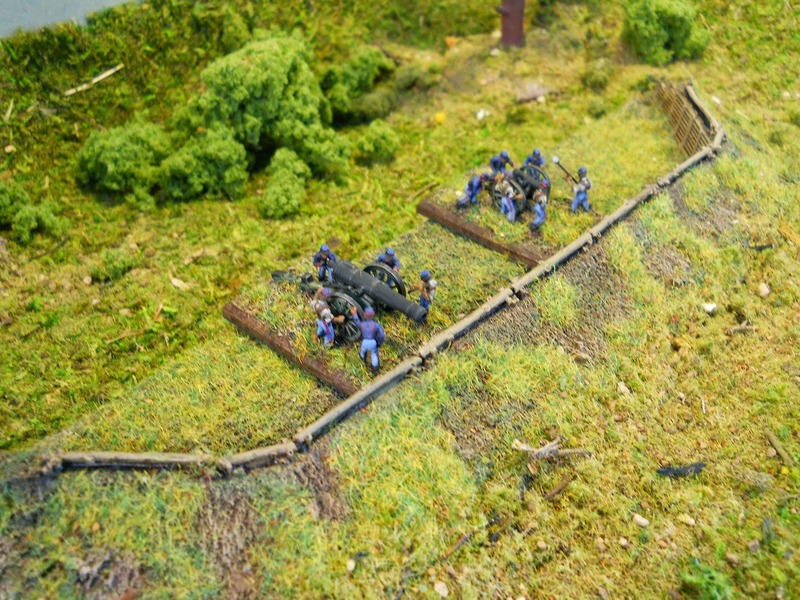 A 1” round stand is recommended for infantry and a 1 x 2” rectangular stand for cavalry. The basic maneuver unit of the game is the Company. The two terms, unit and Company, are interchangeable in the game. A Company is composed of between 4 and 12 figures. 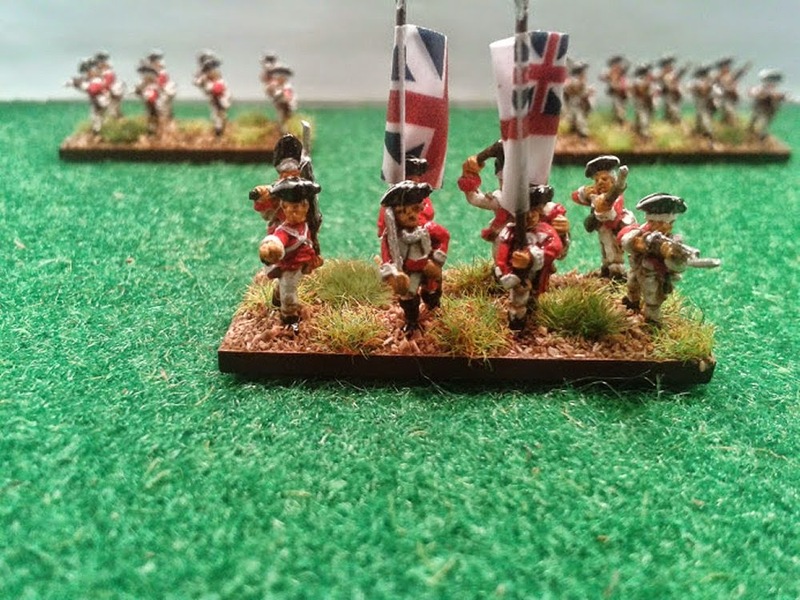 Companies include British and American regulars, Tory and Colonial militias, Indians, dragoons, and artillery. The lists provided in the appendix are for small engagements, not armies. Companies can accumulate Disorder (DIS) markers during a game turn. Once a Company exceeds its maximum number of DIS it is exhausted. Exhausted Companies cannot perform any other action other than reorder or defend in melee. DIS markers can be removed by spending action points on your Company (see Command, see also Company Characteristics and Disorder Limit Table). Elite can take 3 disorders, Veteran, and Average can take 2 disorders and Poor can take 1 disorder. Each Leader of Worth (LoW) has a First Company, which he may choose from any in the game. This is the unit to which he attaches himself at the start of the battle and which will define the position of his Battalion Line. LoWs may leave their First Company and the Battalion Line will still exist. 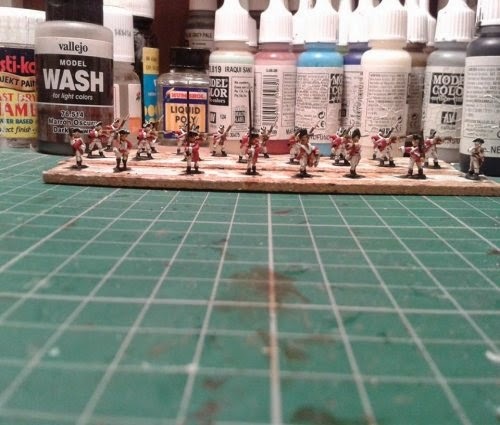 However, the LoW will not be able to issue any Battalion Line commands if he is not attached to the First Company. As a player, you will take on the role of a leader, referred to as a Leader of Worth (LOW). Your LOW is responsible for raising, organizing, and commanding the army. Light Bobs encourages you to use your LOW from battle to battle. This will give each battle a common reference point and enhance the thrill of recreating battles of the era. If one does not exist, the player generates his LOW before a battle begins. A LOW has four Personal Skills. These are tracked and may improve from battle to battle. A newly commissioned LOW starts with 3 uncommitted skill points plus a randomizer card to place on his 4 skills. The color of the card is ignored. Jokers allow one skill to be raised by 1 point regardless of the cost to do so. A LOW may carry forward unused skill points however he must commit them to a skill (see Personal Skills Table). 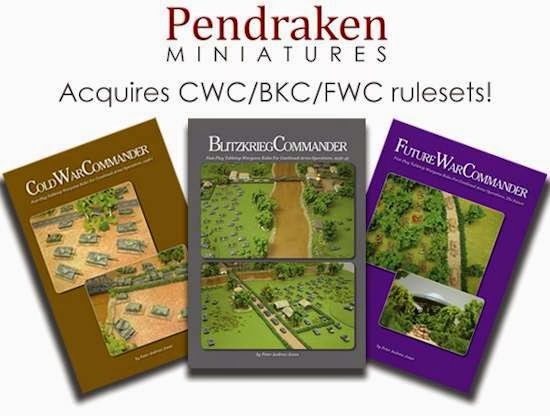 Pendraken Miniatures are delighted to announce that we have purchased the rights to the Blitzkrieg Commander family of rulesets from Pete Jones, including Blitzkrieg Commander, Cold War Commander and Future War Commander. 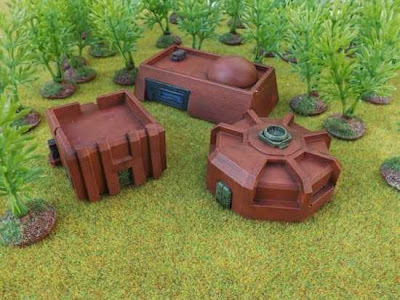 Since its launch in 2004, Blitzkrieg Commander has become the most popular ruleset for gaming WWII in 10mm scale. 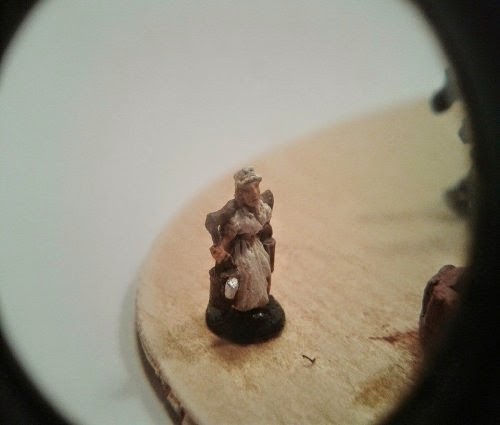 Pendraken's WWII ranges are the most extensive available on the market, covering ten nations with over 600 codes, so it made perfect sense to combine these rules with our miniatures. Cold War Commander was launched in 2006 to cover the post-war period through to the modern day, and with our recent expansion into these areas, it will be great to have a ruleset to accompany these new ranges. Future War Commander was the final release of the three rulesets, adding a Sci-Fi version to the family. 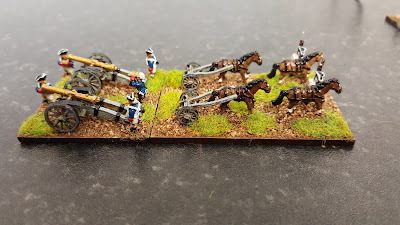 Pendraken have some ranges already in place, but we'd like to work on these in the coming years to really expand and complement this excellent ruleset. The sale to Pendraken also includes the BKC website and forums as well, including the Battlegroups Online service. For the time being, we will be keeping everything in place as it is, so people will still be able to visit the Blitzkrieg Commander website and enjoy the fantastic resources and forum hosted there. The rulesets are currently out of print, but over the coming months, we will be doing some work on them in preparation for a new print-run towards the second half of 2015. Keep checking on either the BKC or Pendraken forums for more news on this, as we progress. For those wanting to purchase the rules in the meantime, we will be keeping the Lulu print-on-demand service up and running for those who are looking to get a hardcopy of any of the three rulesets. 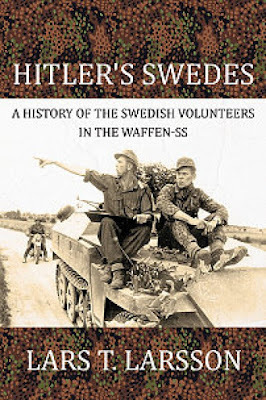 Unfortunately, the PDF versions will no longer be available through the Blitzkrieg Commander website (due to the new PDF legislation), but they will soon become available through Wargame Vault. Again, keep an eye on either of the forums to hear more news on that. I have recently added these images to my site in order to illustrate the utility of the earthen embrasures and stone bridges in Good Ground's Between the Lines range of buildings. 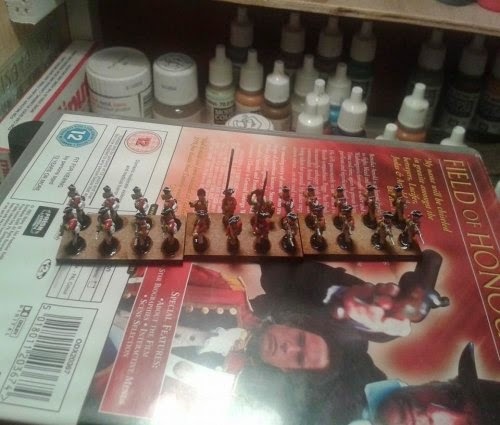 Of course, all these models would be fine for use with 10-15mm figures from the Napoleonic period all the way up through the late 19th century. The bridges will work for even a longer period and would be appropriate for almost any period and arena for which such a structure is required. 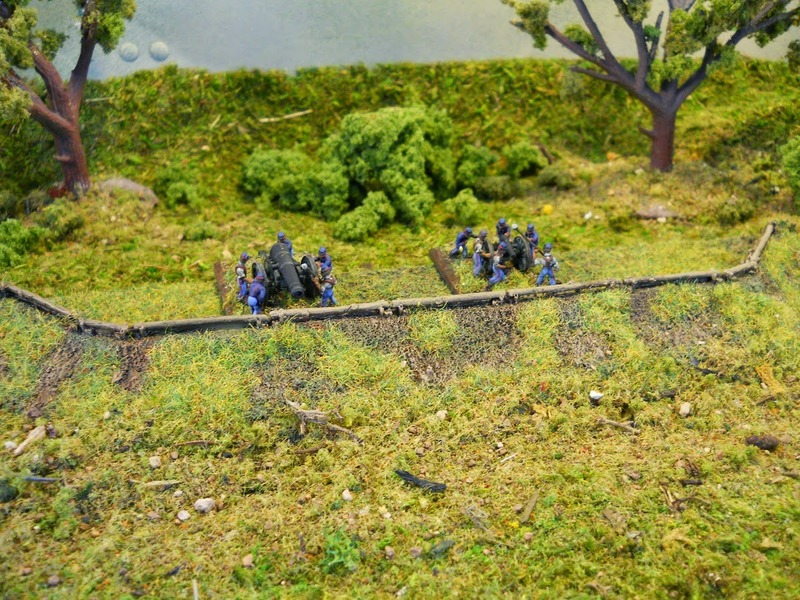 The Stone 3 arch bridge is appropriate for such battles as Manassas or Antietam, but can be used for many geographic locations and a wide range of eras. 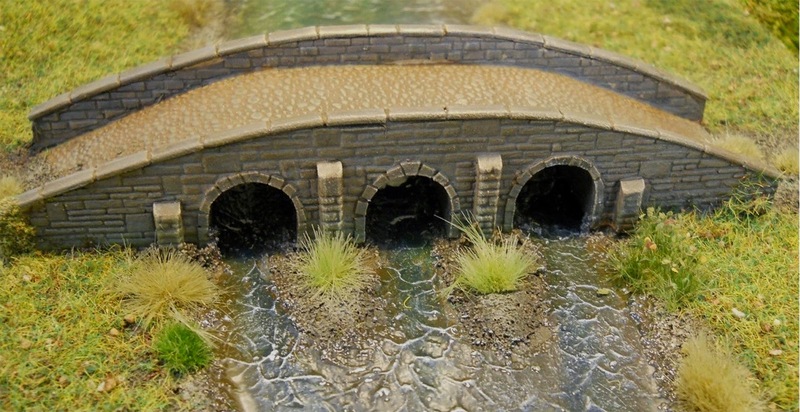 The same applies to the smaller 2 arch stone bridge. Pictured here are a single AB20, two AB21 and one set of AB24. The earthen fortifications are a set of five separate pieces. AB20 is a straight 3" long resin piece. AB21 is a 2.5" 45 degree angle. AB22 and 23 are both small metal pieces of 90 and 45 degree angles respectively. Finally, AB24 is a pack of two metal end pieces (Left and Right). The seams are very tight, and can be easily hidden with a small dab of putty or flocking gel. Employed above was the latter of the two. Stop by my site for pricing and details. In July 1758, the unit was part of the expedition against Carillon (actual Ticonderoga). 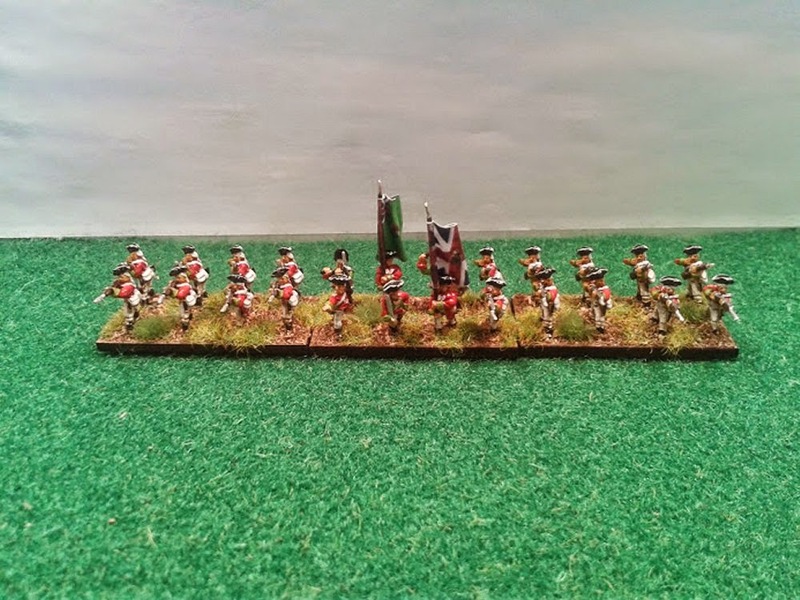 On 5 July a detachment formed part of the vanguard along with Rogers' Rangers. 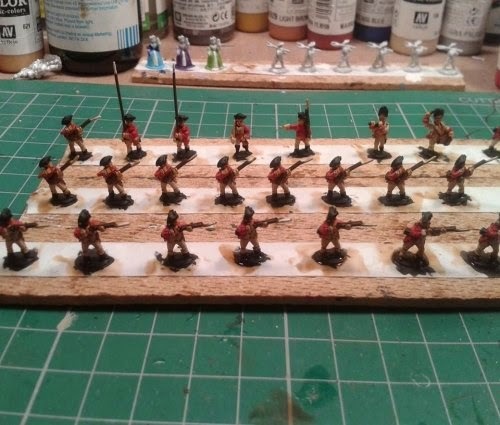 The rest of the regiment formed the rearguard. On 6 July at daybreak, the British flotilla reached the narrow channel leading into Lake Champlain near Fort Carillon and disembarkation began at 9:00 AM. The same day regiment the regiment was involved in several skirmishes with French and Indian light troops. On 8 July , it fought in the disastrous battle of Carillon. At daybreak on 9 July the British army re-embarked and retreated to the head of the lake where it reoccupied the camp it had left a few days before. In 1759, the 80th light infantry joined Amherst's force in a new and successful expedition against Carillon. 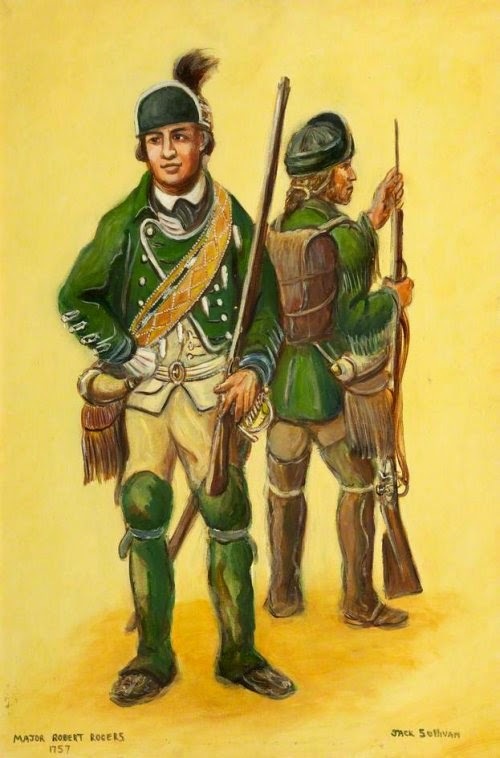 In August 1760, the 80th light infantry joined the army under the command of Amherst who participated to the three pronged attack against Montréal whose garrison surrendered on 8 September 1760. 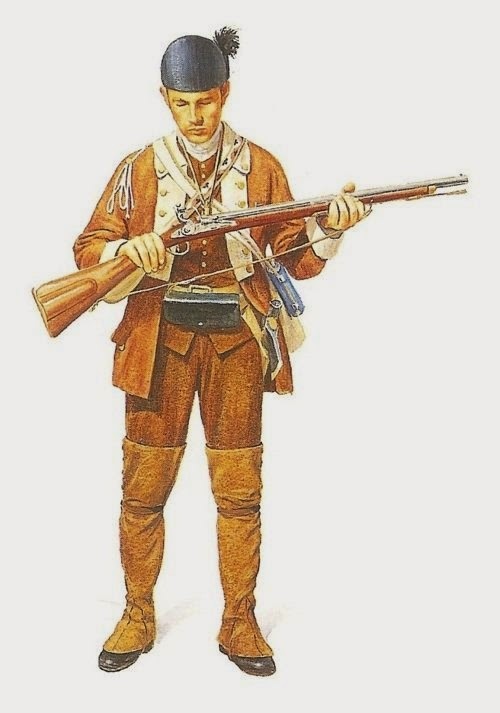 Rogers' Rangers began as a company in the provincial forces of the colony of New Hampshire in British North America in 1755. The unit was the latest in a long-line of New England ranger companies dating back to the 1670s. 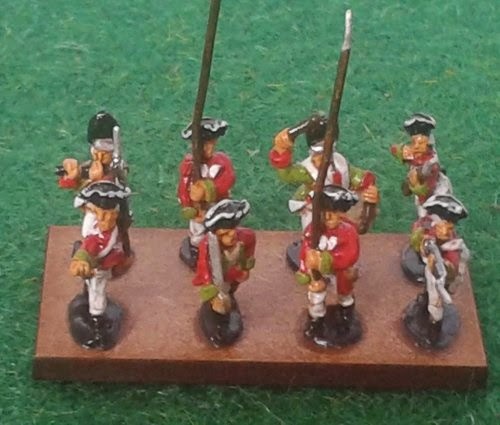 The immediate precursor to and model for the unit was Gorham's Rangers, formed in 1744 and still active in 1755. 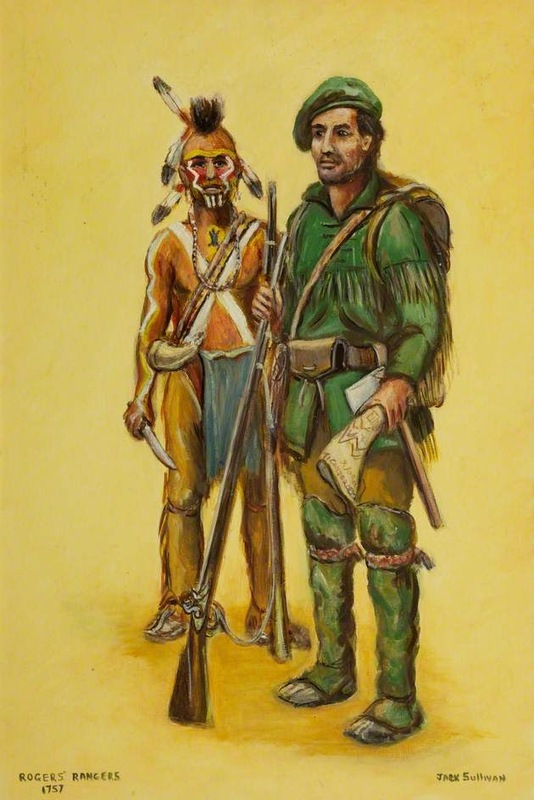 Rogers' company was formed to fight in the French and Indian War, in the borderlands of the colonial Northeast. Commanded by first Captain, then later Major Robert Rogers, they operated primarily in the Lake George and Lake Champlain regions of New York. The unit was formed during the winter of 1755 from forces stationed at Fort William Henry. The Rangers sometimes undertook raids against French towns and military emplacements, traveling sometimes on foot, sometimes in boats and, during winter, on snowshoes. Rogers offered his help to the commander of the Colonial Army, George Washington. Washington refused, fearing that Rogers was a spy because Rogers had just returned from a long stay in England. Infuriated by the rejection, Rogers joined the British, where he formed the Queen's Rangers (1776) and later the King's Rangers. Several former Rangers served under General Benedict Arnold in revolutionary forces around Lake Champlain. 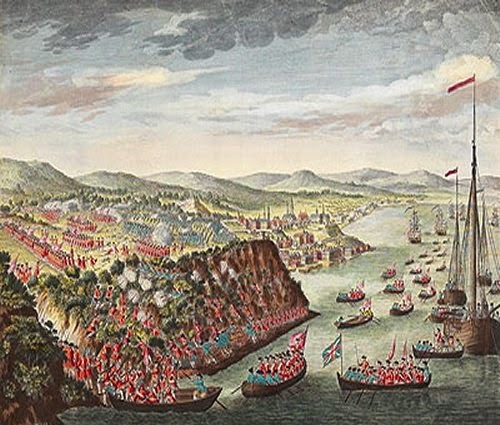 The 43rd Regiment of Foot sailed for North America in May 1757, arriving at Halifax, Nova Scotia the following month to defend the British North American Colonies during the French and Indian War (the North American Theatre of the Seven Years' War) against France. A detachment of the 43rd Regiment of Foot was defeated in a skirmish with Mi'kmaq and Acadian resistance fighters at Bloody Creek near Fort Anne on 8 December. The regiment had spent almost two years on garrison duties when, in 1759, as part of General Wolfe's force, it took part in the capture of Quebec gaining its first battle honour. 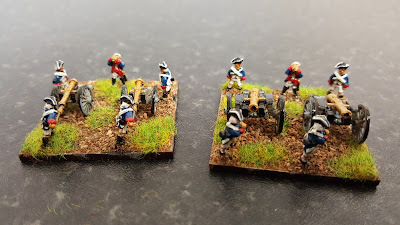 The next campaign was in the West Indies in 1762 where the 43rd Regiment of Foot took part in the capture of Martinique and St Lucia from the French and Havana, Cuba from the Spanish. The regiment returned to North America in 1774 and remained there throughout the American War of Independence. The 43rd Regiment of Foot were joined by the 52nd Regiment of Foot at Boston and the two regiments fought side by side at Lexington and at Bunker Hill. The 43rd Regiment of Foot were at Yorktown during the final siege and surrender in 1781. 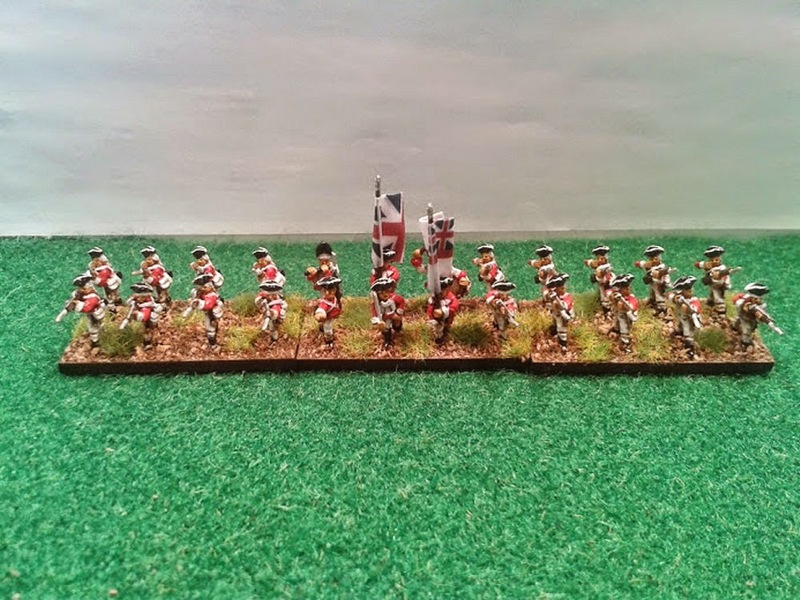 The 43rd Regiment of Foot became the 43rd (Monmouthshire) Regiment in 1782. The regiment returned to the West Indies in 1794 to capture for the second time Martinique and St Lucia which following the peace treaty of 1763 had been returned to France. 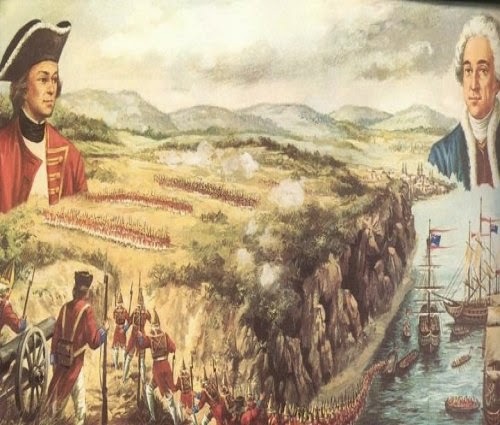 They were defeated at Guadaloupe in 1794 by a much larger French force after defending their position for three months. 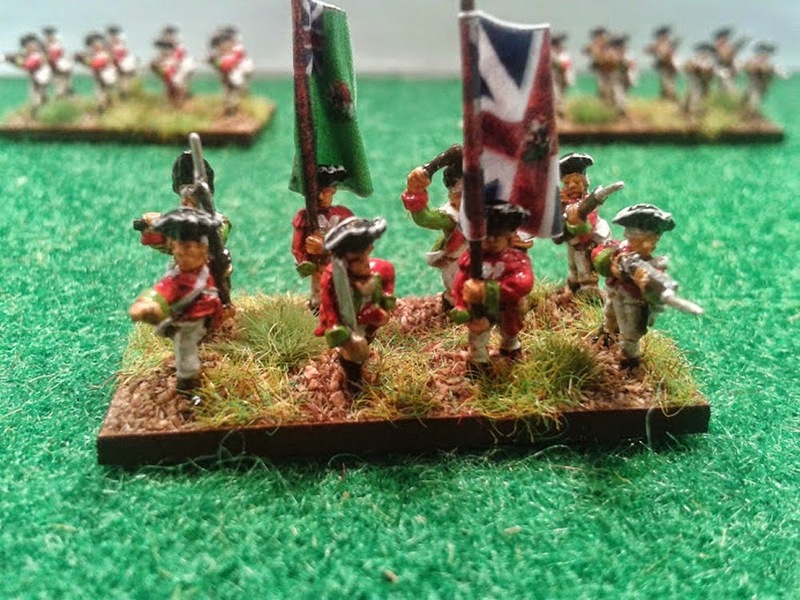 Under the command of Peregrine Lascelles, in 1750 the regiment deployed to Nova Scotia, Canada and the following year it was numbered the 47th Regiment of Foot. The regiment served at both Fort Vieux Logis and Fort Edward. It participated in the Bay of Fundy Campaign (1755), Battle of Fort Beausejour and the Siege of Louisbourg (1758). 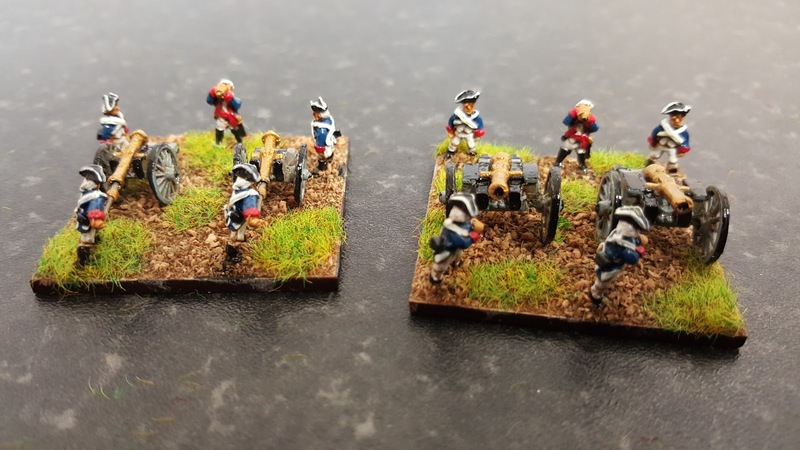 The following year the 47th took part in the legendary Battle of Quebec which saw British forces, under the command of General James Wolfe, prevail again French forces in a battle that concluded a 3 month siege of Quebec. Wolfe was well respected by his men, to such an extent that to commemorate the death of Wolfe in the battle the 47th Regiment of Foot began wearing a black line in their lace and also gained the nickname "Wolfe's Own". In 1760 the 47th Regiment of Foot took part in the Battle of Sainte-Foy, a British defeat against the French during the British defence of Quebec though despite the defeat the British held onto it. In 1763 the regiment returned home from its long deployment in North America with the conclusion of Britain's war with France. The 47th Regiment of Foot arrived in North America in 1773 in New Jersey, a colony of the Great Britain and which would be one of the "Thirteen Colonies" that would soon revolt against British rule. In late 1774 the regiment was deployed to Boston and the following year the regiment saw action against rebels at Lexington and Concord and in the Battle of Bunker Hill which saw a British victory but at heavy cost Gage's reports that for Lexington & Concord that the 47th Regiment of Foot had 5 rank & file killed, 2 Officers, 1 Sergeant, 21 rank & file wounded and at Bunker hill the 47th Regiment of Foot had 2 officers wounded, died + 1 Sergeant, 15 rank and file killed, 5 officers, 3 Sergeant's, 47 rank and file wounded. In 1776 the regiment returned to Quebec to assist in its defence against American rebels. In 1777 the regiment was part of the disastrous expedition to Saratoga where it took part in a number of major engagements. Much of the 47th Regiment of Foot became internees after the surrender of British forces on 17 October. These men not return home from their enforced stay until 1783 and the conclusion of the American War of Independence. 2½ companies of the regiment were not at the Battles of Saratoga as they had been left behind to guard the army's supply lines. On Sept 24, 1777, two companies of the 47th Regiment of Foot under command of Capt. Thomas Aubrey defeated a much larger colonial force at the Battle of Diamond Island. Following the defeat at Saratoga these 2½ companies withdrew to Canada. In 1779 the remaining men of the 47th Regiment of Foot were assigned to assist in construction of a new fort at Carleton Island. Later that year the men of the 47th Regiment of Foot were transferred to reinforce the British posts on the Great Lakes at Niagara, Detroit, and Mackinac. In the summer of 1780 volunteers from the 47th Regiment of Foot stationed at Detroit took part in Capt. Henry Bird's expedition to Kentucky where they were involved in the capture and destruction of Martin's and Ruddle's Stations. 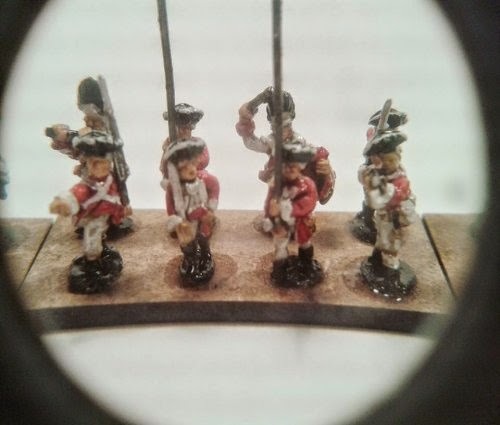 In 1782 the Officers and NCOs returned home to England to recruit a 'new' 47th Regiment of Foot, while its remaining men were transferred into the 8th Regiment of Foot. In 1782 the regiment was given a county distinction when it was given the title the 47th (The Lancashire) Regiment of Foot. 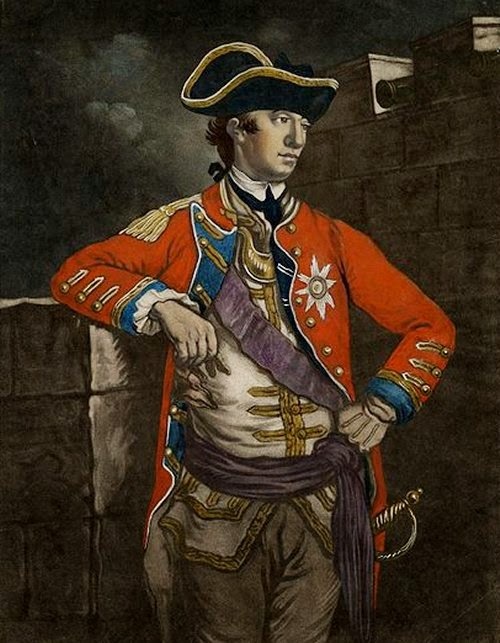 William Howe joined the army in 1746 Howe saw extensive service in the French and Indian War. was involved in the capture of Quebec, in 1759 when he led a British force to capture the cliffs at Anse-au-Foulon, allowing James Wolfe to land his army and engage the French, in the Battle of the Plains of Abraham. Howe also participated in the campaigns to take Louisbourg. 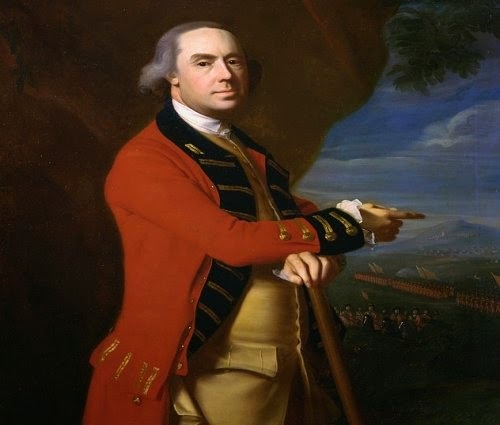 Lieutenant-General Sir William Howe, assumed command September 1775 Howe oversaw the rest of the Siege of Boston, before embarking on a campaign in 1776 that resulted in the capture of New York City and parts of New Jersey. In 1777 he captured Philadelphia, but controversially failed to support John Burgoyne, whose campaign for control of the Hudson River ended in the surrender of his army, leading to the entry of France into the war. 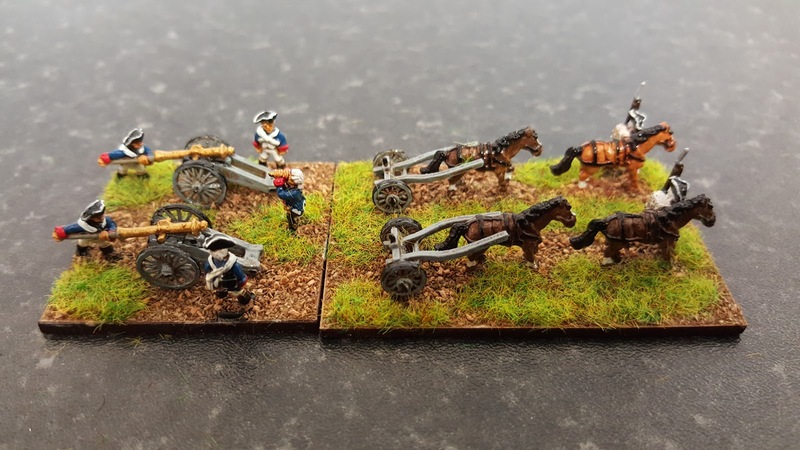 Fabio Farneti produces a range of metal 10mm Romans and Gauls. 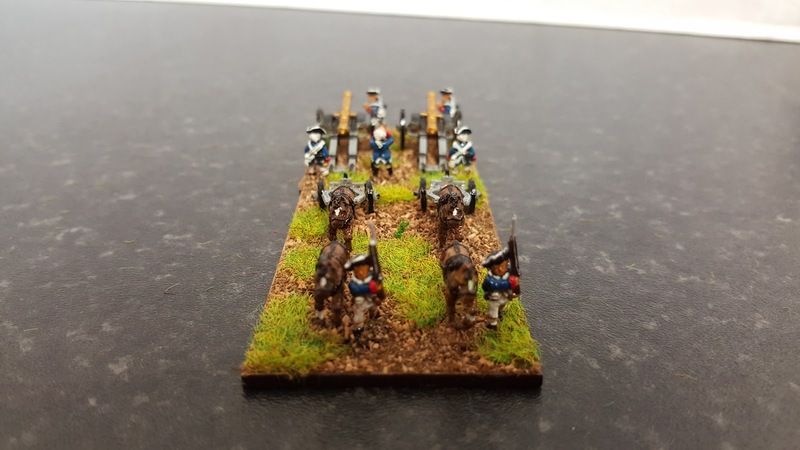 Aster Wargame. 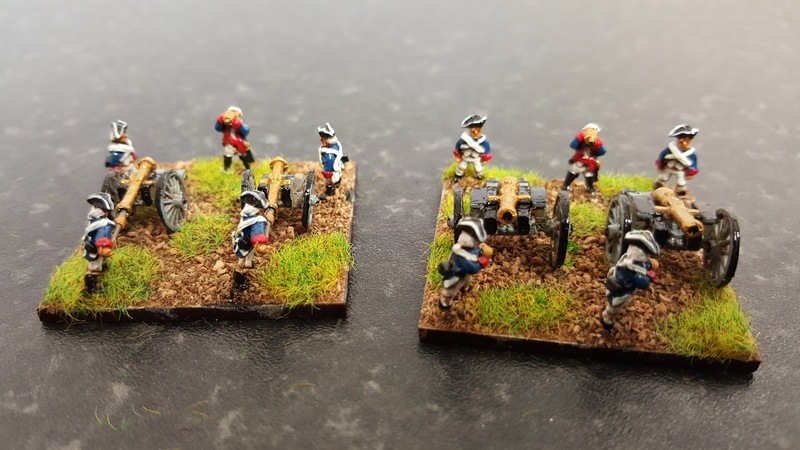 The TB Line 10mm ranges were bought by Aster Wargame May 2016. The Royal Artillery served in America during this war. 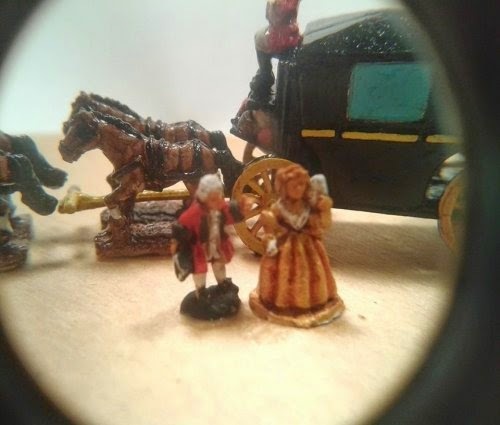 In January 1755, a detachment (6 officers and 60 men), under command of captain-lieutenant Hind sailed from Great Britain with Braddock's force destined to the expedition against Fort Duquesne in North America. On 8 July 1758, 4th and 17th coys of the Royal Artillery fought in the disastrous battle of Carillon. At daybreak on 9 July 1758, the British army re-embarked and retreated to the head of the lake where it reoccupied the camp it had left a few days before. In 1759, a detachment of the Royal Artillery took part in the expedition against Québec who finally surrendered on 18 September. At the end of October, when vice-admiral Saunders left with his fleet for Great Britain, about 430 men of the Royal Artillery remained as garrison in Québec along with 10 infantry battalions. 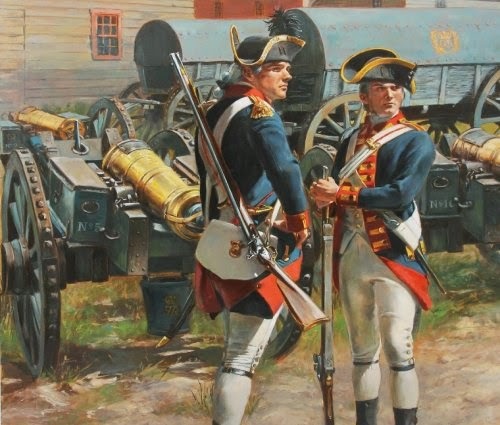 The Royal Artillery served throughout North America during American War of Independence. The headquarters was out of New York City with a secondary base in Canada. The 4th battalion along with minor elements of the 1st & 2nd. Also seeing duty here was the Royal Irish Artillery which British artillery officers commanded.